Dozens of parents are taking time off work and spending Friday morning in the cold in South San Francisco, pushing for more affordable child care. Pete Suratos reports. Taking time off work and spending the night out in the cold. That's how far some parents in South San Francisco were willing to go Thursday to secure affordable child care. 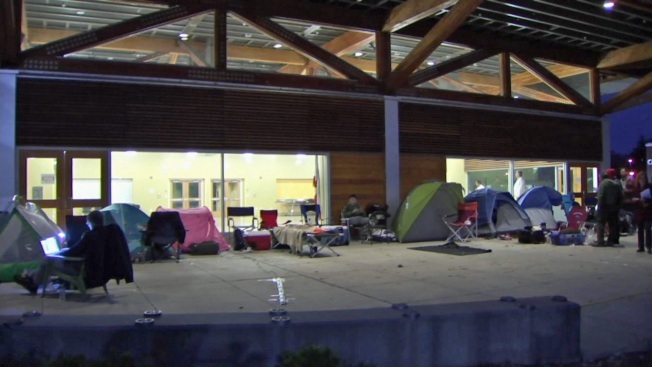 Parents starting pitching tents at 3:30 Thursday morning, forming a line of around the city building. They were braving the elements in the name of affordable child care. "A lot of parents like me work until 5 or 6, so it's imperative after-school care is provided," parent Espie Santiago said. South San Francisco Parks and Recreation offers that care for $399 a month. The line that formed early Thursday and grew throughout the day is for 40 remaining spots at six locatons for next school year. Taking time off work and spending the night out in the cold. That's how far some parents in South San Francisco were willing to go Thursday to secure affordable child care. Jean Elle reports. "They only have 10 spots for the facility we want to get into," Santiago said. "We got here at 7, and we have to stay through the night to get on the list." 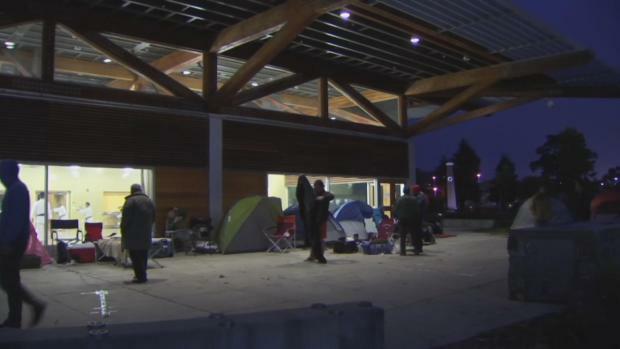 The director of parks and recreation said the line is longer than last year's. She's concerned demand is on the rise at a time when federal grants that help fund the programs are in jeopardy. "We need more quality care for children, not just school-age kids but preschool," Director Sharon Ranals said. "We're concerned about the current budget trend." The department's doors open at 7 a.m. Friday.